Do you have a hard time getting your family to eat enough vegetables? Are you worried they’re not taking in the recommended daily serving of the vitamins and nutrients all these veggies offer? I think this is a common concern for parents everywhere. As the primary “chef” in our house, I am always looking for ways to feed my boys tasty foods that make them excited about dinnertime but will also fuel their bodies well and give them the nutrients their bodies crave. 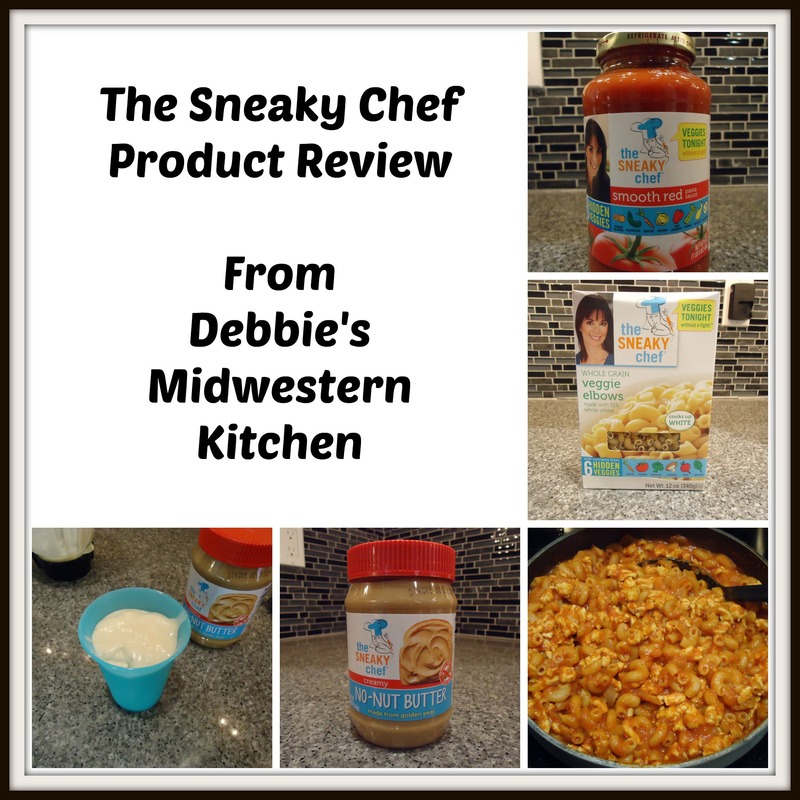 Recently, I was introduced to a new product line called The Sneaky Chef. These products were created by Missy Chase Lapine whose whole motto is, “Veggies tonight, without a fight.” She takes foods we all love (especially our kids), such as, pasta and pasta sauce and creates them with nutrients from many of the veggies that we all would love for our whole families to enjoy on a regular basis. She has also come up with a smooth “peanut butter” called No-Nut Butter made from golden peas that is perfect for those who suffer from nut allergies. 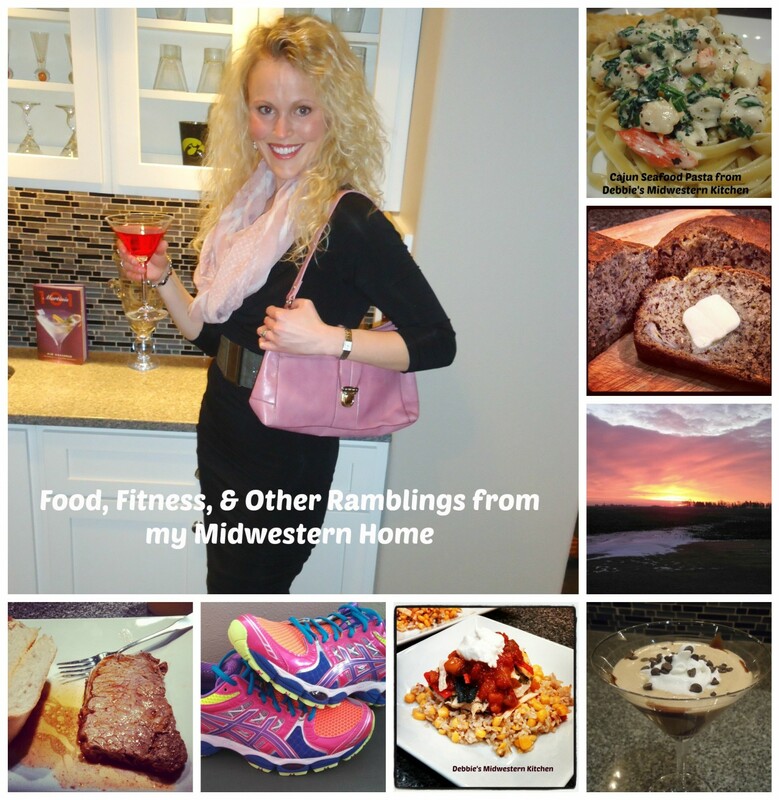 Her line can be found in your local Fareway Grocery Stores along with a variety of other places across the U.S. 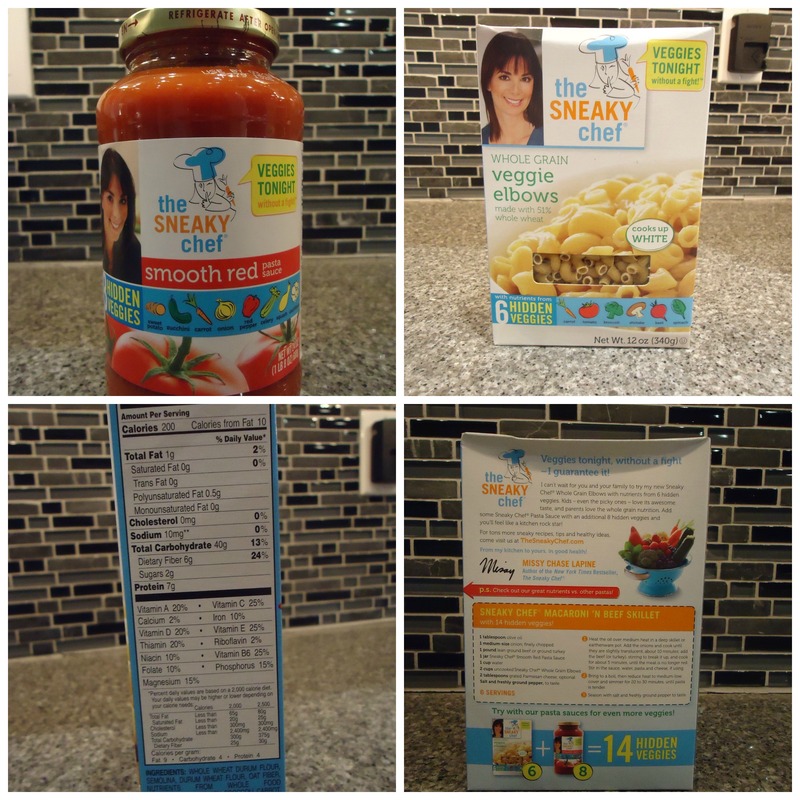 Learn more about her products and “sneaky” ways to feed your family in a healthier, tastier way at www.thesneakychef.com, ‘Like’ The Sneaky Chef on Facebook, Follow The Sneaky Chef on Twitter, and/or on Pinterest. 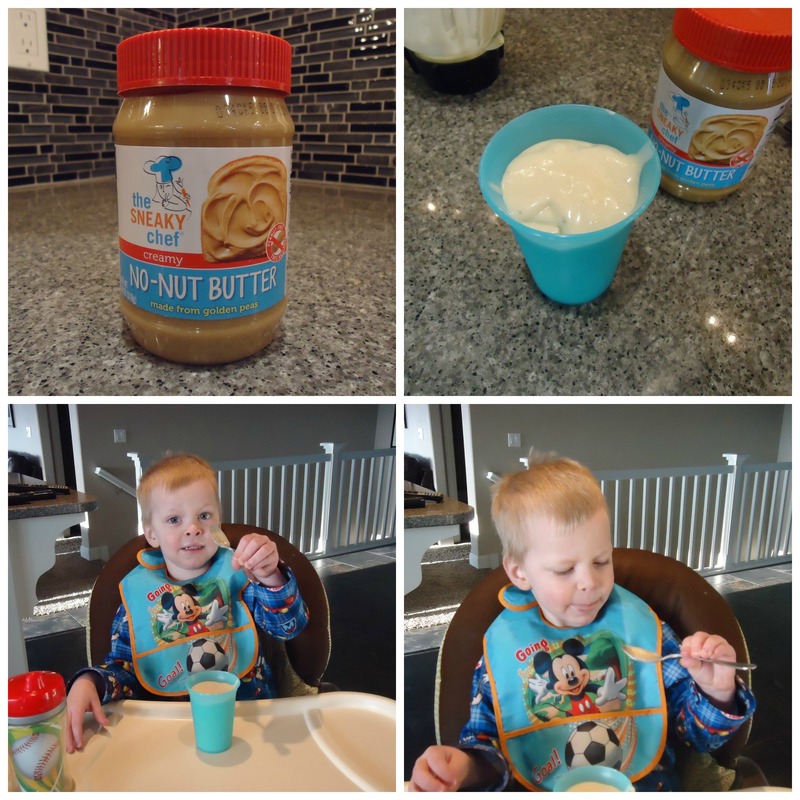 Over the past few days, our family has given a few of The Sneaky Chef products a try. Last night we tried the Whole Grain Veggie Elbows made with 51% whole wheat. These noodles cook up white so your family doesn’t even realize their eating whole grain pasta and they contain 6 hidden veggies. I used the Smooth Red Pasta Sauce with the noodles which contains 8 hidden vegetables, such as, sweet potato, zucchini, carrots, cauliflower, etc. We were very impressed with the quality of the products. They tasted no different to me than regular pasta and pasta sauce. However, these had the advantage of having many added “good for you” nutrients your regular pasta ingredients don’t include. The elbow noodles cooked up nice and fluffy with a great consistency. I could taste a little bit of whole wheat in them, but I think that was only because I knew that’s what they were mostly made from. Mike said about 3 or 4 times throughout the meal, “Man, this stuff is good!” And I heard no complaints from T.J. I’d call that a success. I’m excited to try the cheese sauce and the turkey sauce. The other great thing about The Sneaky Chef is there are all kinds of recipe ideas offered on Missy’s website and on the labels of her products. 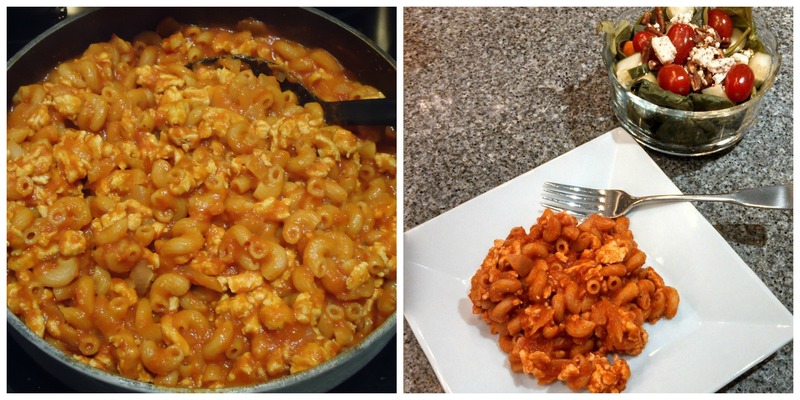 I made the Macaroni ‘N Beef/Turkey Skillet from the back of the Veggie Elbows box, and it will definitely be a repeat meal in our house. 1. Heat the oil over medium heat in a deep skillet or earthenware pot. Add the onions and cook until they are slightly translucent, about 10 minutes; add the beef (or turkey), stirring to break it up, and cook for about 5 minutes, until the meat is no longer red. Stir in the sauce, water, pasta, and cheese. 2. Bring to a boil, then reduce heat to medium-low, cover and simmer for 20-30 minutes, until pasta is tender. I served ours with a side salad and it was perfect. 14 hidden veggies in all plus what we had in our salad 🙂 Not bad! And not to mention DELICIOUS!!!! Along with the pasta products we also tried the No-Nut Butter. Made from golden peas, this nut-free product tastes just like real peanut butter with a smooth and creamy texture. The other morning I made T.J. a healthy breakfast recipe from The Sneaky Chef – No-Nut Butter ‘n Banana Breakfast Ice Cream. Ice Cream for breakfast that is healthy? Why not? T.J. LOVED it! I tried a sample and could have easily devoured the whole thing if I hadn’t already eaten that morning. This is a simple, healthy recipe that can be eaten as ice cream or as a smoothie. Perfect for kids and adults who want to start their day on a delicious and healthy note! The No-Nut Butter also comes in snack packs to take on the go, put in lunches, or to use as an after school snack! Put all ingredients in food processor and puree on high—hold on tight, the first few seconds will be a bit rough until the mixture smoothes out (add a little more yogurt if needed to make a smooth consistency). Serve in parfait glasses. If you desire harder ice cream, freeze for at least 30 minutes. Add 1/2 cup lowfat milk for smoothies. I highly recommend these products and am excited to try more and more of them in our household. Not only are they delicious, but you know that you’re feeding your family the healthy nutrients they deserve. I also love that The Sneaky Chef offers so many healthy recipe ideas for your family. They won’t even realize their eating all their veggies in the foods they are enjoying on a daily basis! To be entered in the drawing, simply leave a comment in the comment section below by 4pm on April 11, 2014, sharing with me what vegetable is hardest to get your family to eat or telling me your least favorite vegetable. This will give me some ideas on what kinds of vegetables to try to work into future recipes in a way that you and your family can enjoy them! I need to check this line out! We don’t’ really have a problem eating our veggies and when the boys were home they were really not picky about them at all so I guess I lucked out there. Cooked carrots are my nemesis, though. Not a fan. Never have been and never will be. Raw carrots are a-okay Sharing your post so others can join in the fun. I am not a fan of cabbage, just can’t stomach it! And due to the fact that I cannot stand cabbage, my family have never been exposed to it under this roof. We are challenged in getting our son to eat spinach! Woah, PB made with peas? That’s unique. I have some relatives who have kids with nut allergies so I will have to let the know this exists. We don’t have kids yet and love vegetables. I really can’t think of any vegetable we won’t eat. Congratulations, Jenni! You are the $50 Gift Card Winner!!!! What a great idea! We don’t have much of a problem eating veggies at our house, but any extra added is always helpful. Alex – How did you cook your brussels sprouts? NEVER boil them (that’s what my mom did – yuck!) Sautee them nice and crispy. Even better: Cut the sprouts in half (be sure to take off the hard root/base first), or shred them (either with a knife or in a food processor). Cook up some bacon. Once the bacon is crisp, set it aside. Drain off all but 1 tablespoon of the bacon fat. Throw in a chopped shallot (or about 1/4 of an onion) until soft, then add the chopped brussels sprouts. You can add some dijon mustard or balsamic vinegar at the end for something special, or keep them as is. Trust me… this is the way to go!